2014-UP. 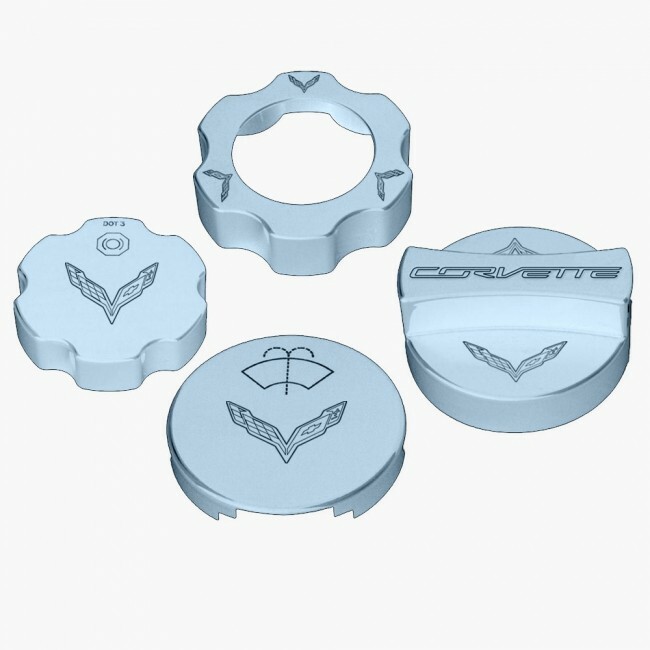 You can color-match your C7 Stingray/Z06 with this under-the-hood cap cover kit. This is a 4-piece set that includes covers for the oil fill cap, washer fluid cap, brake fluid cap and radiator cap. 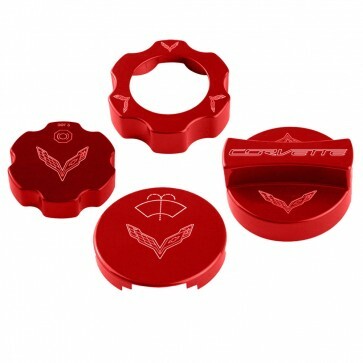 Made from premium aluminum billet engraved with the C7 crossed flags and finished with a rich durable OEM color-matched paint. Available in your choice of 19 colors. Easy-installation over existing parts, simply press-on for a secure fit. Made in the USA.